Delivery Lead and enthusiastic problem solver, applying over a decade of development experience to lead Atomic's customers and teams to results that thrill. Automotive gearhead and race car driver. You won’t see titles like Project Manager, Scrum Master, or Account Manager on an Atomic project team roster. Instead, you’ll see a Delivery Lead, a role we introduced to give our clients a streamlined experience as they work with our teams. Here’s a quick overview of what an Atomic Delivery Lead does and how to make the best use of the Delivery Lead on your project. 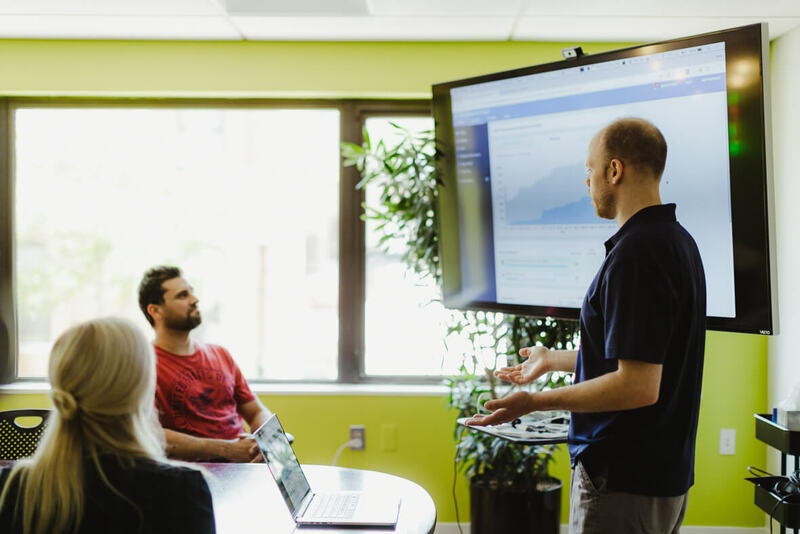 Atomic’s Delivery Lead bundles the traditional responsibilities of product management, project management, and client relationship management into a single role. Giving those responsibilities to one person keeps our team size small, lets that person get deeper into each assignment, and creates greater opportunity to identify wins across the scope of the product, project, and team. Delivery Leads are responsible for collaborating on and co-creating products with our designers, developers, and clients in the areas of communication, project and product management, and high-level product architecture. It’s our job to be the client’s proxy for the team when the client isn’t available. We make sure the team is unblocked, and we keep everybody in sync, marching towards the product goal. Like our designers and developers, our Delivery Leads are part of the broadly-skilled product team and will use their consulting experience to provide value as we build software products together with our clients. Working with a Delivery Lead is meant to make your life easier. You have one person who can answer questions about the project, team plans, Scrum process, project extensions, etc. Whenever you have a question, start by asking your Delivery Lead. If they can’t answer it directly, they’ll know how to get to an answer. Here are some things you can do to get the most out of your Delivery Lead. 1. Involve your Delivery Lead in relevant project and product conversations. Product roadmap discussions: Your Delivery Lead can help add context about potential cost and risks based on their experience. Project or extension planning: Your Delivery Lead can help model team scenarios for time and cost, and then make the connection to our planning team to evaluate team availability. 2. Make time to be part of the process. Show up to scheduled meetings, and read emails from your team. Please don’t make your Delivery Lead chase you down to get answers. Your Delivery Lead is ready to listen and take action. We want you to be happy with your engagement with your Atomic team. Our teams are energized when we hear how our work has led to a successful outcome. The Delivery Lead will make sure everyone hears the good words. 5. Use them as your portal to Atomic’s expertise. One client’s internal IT organization asked for an additional layer of security for a login process. To help our client understand the balance of security and implementation cost, we outlined three different approaches that they could take back and discuss with their IT team. They were able to make a well-informed decision as a result. Another client needed help auditing and formally describing the security of their systems. We made a connection to an external security company with that expertise and helped them do the needed auditing of the portions of the system we built. A mobile application project started looking at adding Bluetooth connectivity for loading sensor data. The project team borrowed some time from another Atomic developer who had worked with Bluetooth connectivity and used his expertise to inform development plans. Atomic clients have had great experiences working with our Delivery Leads over the past two years because of the way it streamlines interactions with our teams. 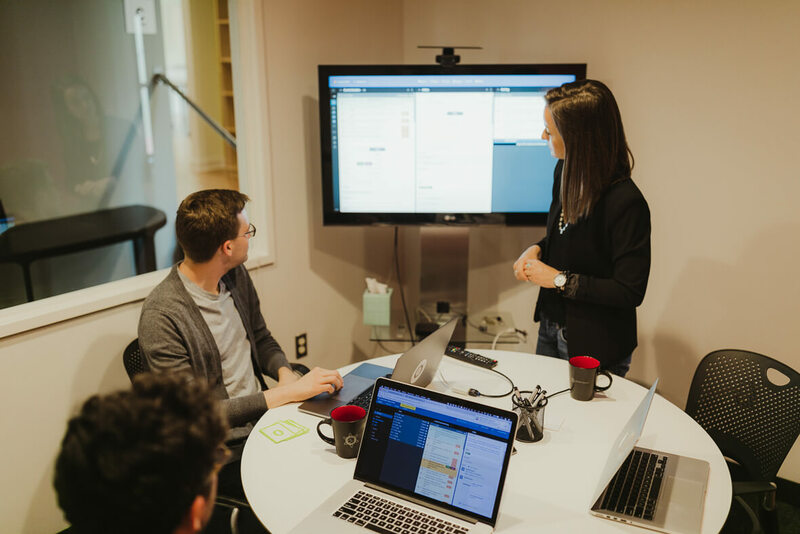 Engage with your Delivery Lead, make sure they’re connected to product and project conversations, and let us make this part of your software product experience great.